It would seem that Apple has set an official date for the release of the magical and revolutionary new device: the Apple iPad. Will you be in line? Will you wait a month for 3G? 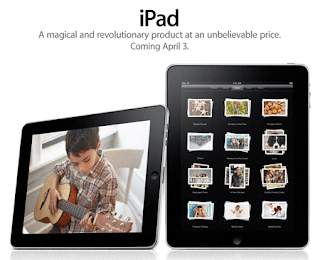 Or will you be waiting for next year's iPad, the one with the purposed camera and iChat? Let us know. Comment below. Not sure if you want an iPad?